An amazingly hook-y song about the red-ish tinge in the hair of some Polynesians. 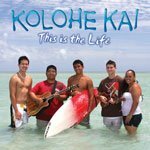 The ‘ukulele chords for Kolohe Kai‘s Ehu Girl are easy and fun to strum. This one is STILL on the radio! I was teaching my young ‘ukulele students this song for years. Seems like the initial fad is well over, but it’s still a great, well-known song. Since the Ehu Girl ‘ukulele chords use a Jawaiian style strum, you’ll have to get used to playing on the offbeat. Use the Jawaiian strum found on my reggae ‘ukulele strums page. The recording has several instruments playing around this part. If it’s just you and your ‘ukulele strumming the chords, you will be best off with this Jawaiian strum. But if you really listen, you’ll hear that the guitar is actually playing a straight skank – without the upstrum. This is also shown in the above link. The intro picking mimics the saxophone in the recording. The ‘ukulele doesn’t actually pick all these notes – the sax plays some by itself, but it would be silly not to rock the whole thing. It’s not especially difficult, but a good riff to practice your slides on. The last note extends down into low-G range, but if you play the last three up an octave on the A-string 7th fret and then E-string 8th fret/7th fret, you could probably make it work fine with a high-g. If you need a hand with these Ehu Girl ‘ukulele chords, you can find them here with pictures and diagrams. When you, this ehu girl, caused a crime. You set my heart on fire and now I’m so in love with you my ehu girl. My love, sent from above. but out of all the beauty in the world there’s no one quite like you.